The Image shows passenger arrivals via cruise ships monthly from January 2016 to November 2018. Click on the Image to enlarge. Cruise Ships represents an important part of Jamaica’s tourism product and our three major cruise ship piers are Montego Bay, Ocho Rios and Falmouth. 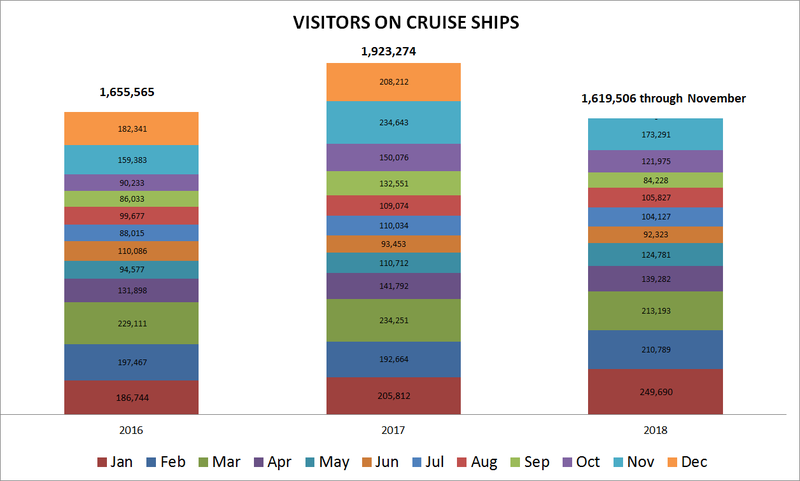 Keep checking the Industries Dashboard monthly to track information related to passenger arrivals via cruise ships.